Discovering that you have Diabetes can be overwhelming and challenging news for many people. Keep in mind that this condition affects individuals of all ages and races. Many people are born with the disease, and other people develop it later in life. You are not alone managing diabetes. Take a deep breath and decide to take control of your diabetes, instead of allowing it to take control of you. Incorporating exercise into your day, changing your eating habits and learning how to monitor your glucose levels will enable you to live a healthy and productive life. You can also make sure you get adequate sleep and reducing any stress will also help to keep your blood sugar in check. These can be monumental lifestyle changes for some individuals. Be patient with yourself. Do not try to overhaul everything on the first day. Knowledge is power. The more calm and open-minded you can stay while you educate yourself about this new condition, the better off you and your loved ones will be. 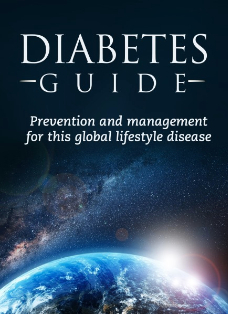 Understanding the risk factors of Diabetes will help you understand what kind of preventative measures you can take in reducing the associated risks that accompany this condition. Many people learn how to listen to their bodies with this disease. Often it provides the wake-up call a person needs about some much needed lifestyle changes. Other people, however, may go into denial about their condition. They may even rebel and decide not to take their medicine on time, or not to make time to check their blood sugar levels. These individuals often suffer dire consequences as a result. Instead of managing their disease, they allow it to progress and may end up dealing with numerous other health problems. Choose to be proactive and as healthy as you can be. It is never too late to start making positive choices. Obesity is the largest risk factor for Type 2 Diabetes. Unfortunately, obesity is considered to be at pandemic levels in many countries. This abundance of excess weight causes a lot of stress on the entire body. The joints, the cardiovascular system and the internal organs are all affected. Many studies have been done to determine why obese people have a higher tendency to develop Diabetes. One theory shows that abnormal glucose output is actually increased in obese people and the pancreas has a difficult time responding with the required amount of insulin. It is possible to deal with obesity in a healthy manner. Start with small changes in your daily routine. Park your car at the farthest point from work or the store and increase your daily steps. Take the stairs whenever possible. Keep raw veggies in a bowl of water in the fridge for a nutritious go-to snack. Drink a glass of water before every meal to help convince your body that you feel fuller faster. Visit with a dietician who specializes in Diabetes and learn some new recipes! My app, Z Nutrition, actually has meal plans with recipes, written by Registered Dietitians, specifically for Diabetics. A sedentary or low activity lifestyle is another common diabetic risk factor. Keeping active and staying on your feet increases your blood flow and promotes healthy circulation. If you sit at your desk all day, make time to stretch and get some fresh air during lunch and coffee breaks. Are in the habit of watching TV after supper? How about choosing to go for an evening walk around the block instead? These small changes will have a positive impact on your overall health.